Soy sauce is one of my most favorite ingredients to use in cooking. It’s extremely versatile, and also integral if you want to do any kind of Asian cooking. It’s got an earthy umami taste accompanying the saltiness it imparts to dishes. I got some chicken for real cheap (99 cents a pound!) and decided that it must be used. With the few ingredients I had on hand, I cobbled together this simple but tasty recipe. 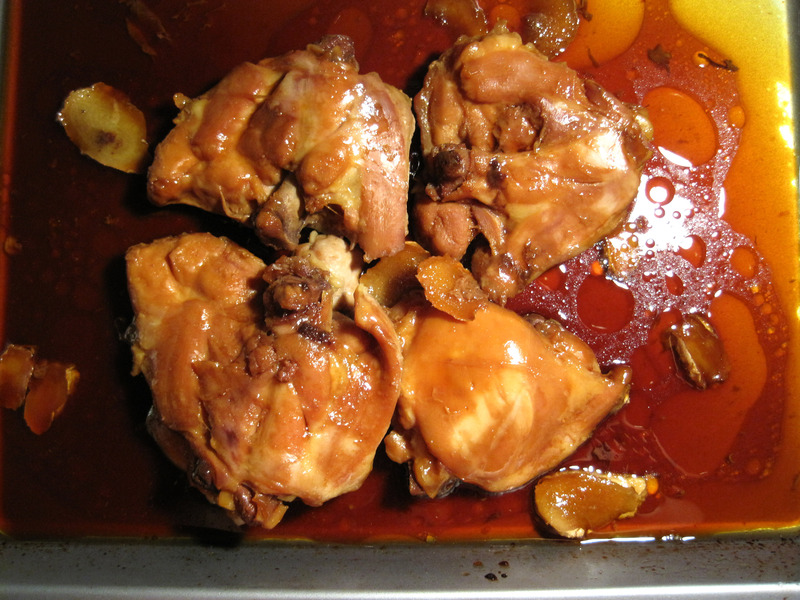 I based my recipe off Ina Garten’s Indonesian Ginger Chicken recipe, but I fail to see why it is Indonesian. To me, it’s a very generic Asian-flavored recipe that’s been Americanized. After all, honey is not that commonly used in Asian cooking. I didn’t use garlic, and I also cut the ingredients to a third. I accidentally used 1/3 cup of soy sauce instead of 1/4 cup, but I think the caramely yet savory sauce tinged with the fragrance of ginger would be excellent to drizzle over rice or lightly blanched bok choy. This recipe is technically easy but not something you can whip up quickly. 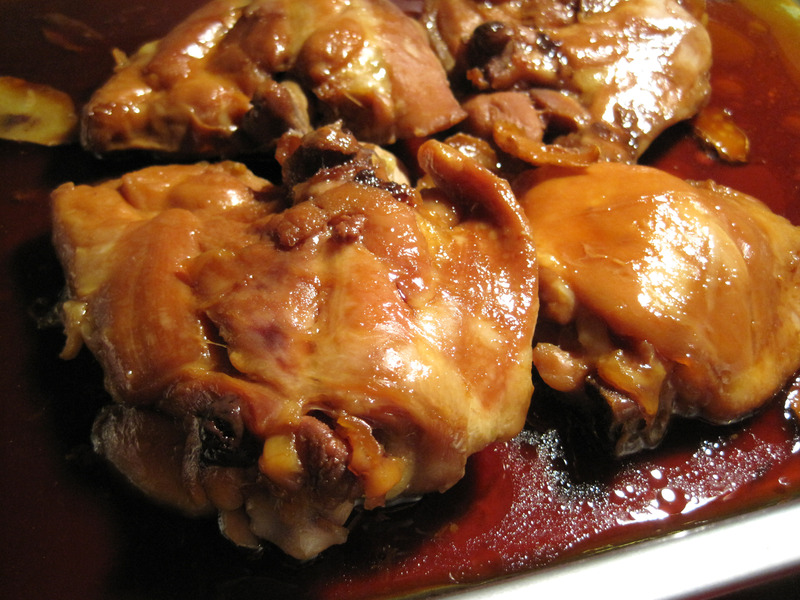 It requires a few hours to marinate, an another hour to cook. However, hands-on prep time is extremely brief, so feel free to do something else while the chicken sits in the marinade. Maybe make this key lime pie. Place the baking pan in the oven and bake for 30 minutes. 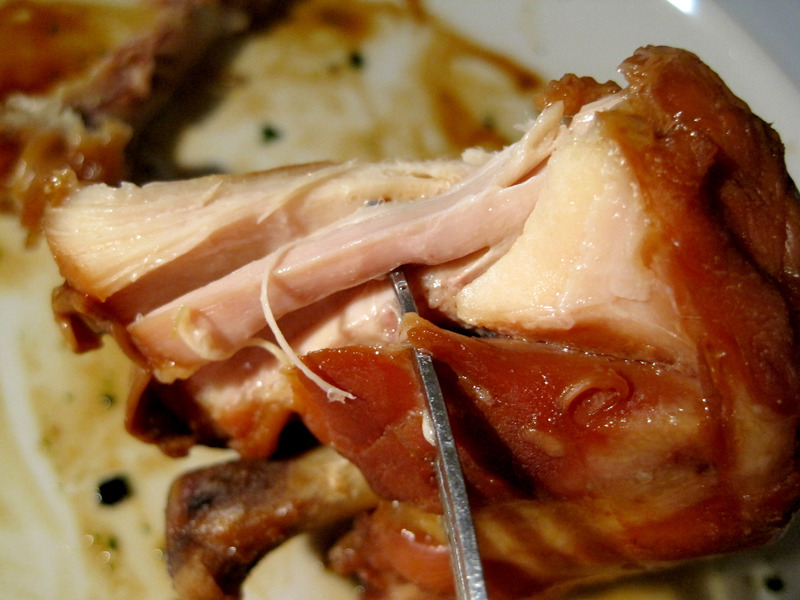 Uncover the pan, turn the chicken skin side up, and raise the temperature to 375 degrees F. Continue baking for 30 minutes or until the juices run clear when you cut between a leg and thigh and the sauce is a rich, dark brown.